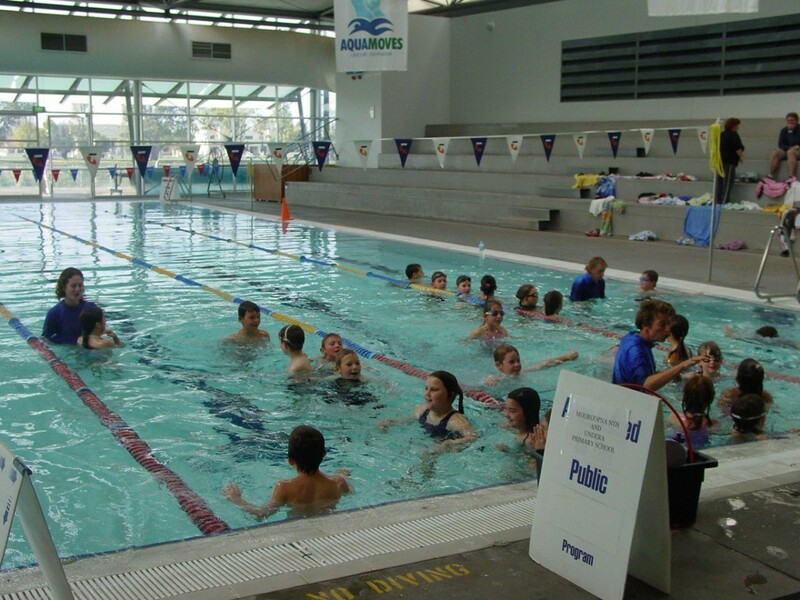 School Group Programs - Aquamoves – Indoor and outdoor pools, fitness facilities and programs in Shepparton, Victoria. Aquamoves provides a number of educational programs to schools and groups, with a strong focus on water safety and awareness. Aquamoves offers a comprehensive Swim School program that compliments your school's curriculum. Following AUSTSWIM and Royal Lifesaving guidelines on teaching swimming, Aquamoves provides an intensive Learn to swim program for schools. To ensure children are not disadvantaged, each child is placed into a level depending on their swimming experience and ability. Our levels range from one to seven. School groups have a maximum of 10 children per instructor and all of Aquamoves' instructors are Austswim qualified. The aim of the program is to develop swimming skills and increase knowledge of and awareness of water safety. As part of this, participants are taught how to perform rescues safely as well as different water entries in an aquatic environment. Aquamoves is able to cater for all students individual needs including students who may have special needs or behavioural issuses. Please contact Aquamoves prior to the group booking so appropriate arrangements can be made. Your school will need to lodge a booking form to secure your program. Upon completion of the program each student will receive a certificate stating what the student was able to complete at that particular time. Please complete and return the booking form below to arrange a visit for your school group. Please Note: Receipt of this form does not confirm the booking. The booking will still need to be confirmed by the Health and Wellbeing Team Leader.